The irony of this post as a runner; I know! Fitness is not one size fits all. What works wonders for one person, may not work for another person. Or you might DESPISE something that someone else loves! We simply cannot box everyone into one way of thinking/doing things and that’s one thing I love about keeping fit and looking after myself. Over the years, I’ve talked about my passion for and how I fell in love with running on this blog, so it came as quite a shock to me recently when I accidently stumbled (probably quite literally) across a new ‘sport’. Running’s, slower but no less effective friend, walking! 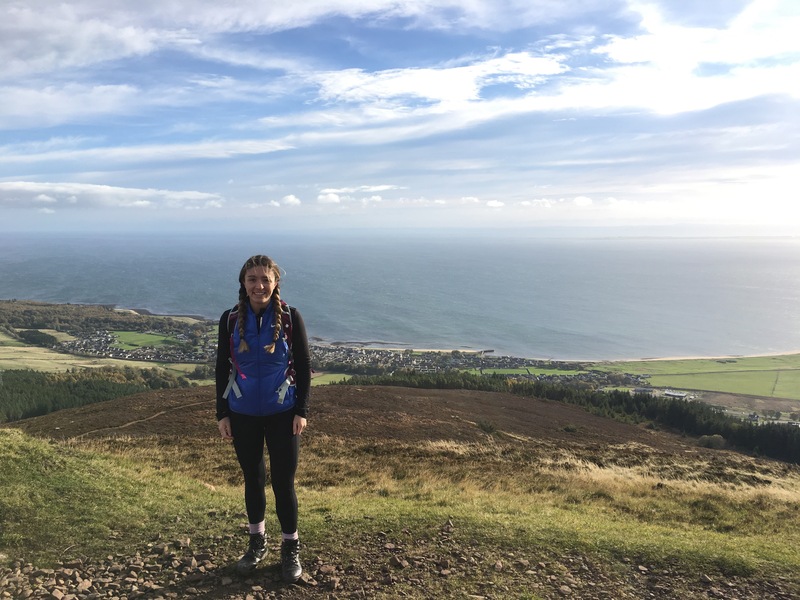 I’ve done a few hill walks in Edinburgh, particularly the Pentlands but it all really started when I was on holiday in the Highlands. Brandon and I had made an itinerary of what we wanted to do whilst we were there and walking wasn’t on the list. However, whilst out driving a scenic route to get somewhere we found a ‘Forest Walk’ and at a loss for something to do on one of our ‘chill out’ days (again, the irony) we decided to give it a go. 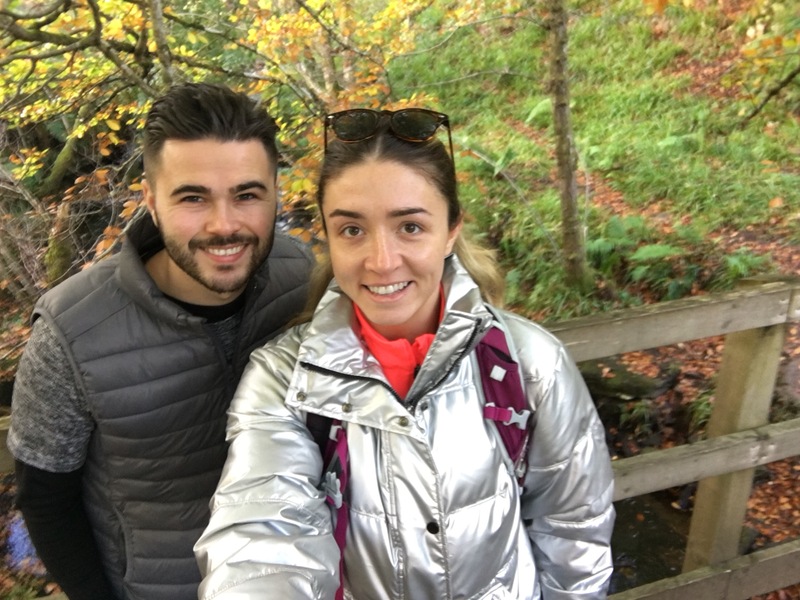 Whilst googling further details about the walk; the route, where to park, etc, I discovered a website called WalkHighlands and in turn, found out we were pretty near some spectacular walks and hills that other people travel to Scotland specifically for. We did the forest walk and then the following day went back on our trusty website to look up a walk my Dad had told me years ago that he’d done before, Ben Braggie – the walk up to The Duke of Sutherland. After that one, I was hooked and we ended up looking for more to do daily. It turned into a walking holiday. Luckily, I’d packed my old walking boots that I had from my Duke of Edinburgh days. They’ve since packed in and the leather has started splitting from the sole – probably down to age. Since we’ve been home, I’ve spent my time planning weekend walks and we spent a beautiful afternoon last Sunday in the Pentlands. The route we chose, Monks Brigg and Braid Law (part of the Nine Mile Burn) was super boggy but the views at the top were well worth it! I previously hated living in Scotland, mostly due to the weather, but I think I have now just started to uncover it’s true beauty and my passion for something I never thought I’d enjoy. I may chosen the wrong time of year to get into it but I am already dreaming of bagging Munro’s and new walking boots are on my Christmas wish list! Watch this space for a Munro (that’s my surname) on a Munro next year! Have you found any new or exciting hobbies that you never expected you’d enjoy?